All photography and content in this website copyright Sandie's Psychic Stones, Carson City, NV U.S.A. All rights reserved. Enjoy working with, wearing, collecting, and reaping the results from the energies minerals carry within. Be thrilled to the history and paranormal experiences as author and paranormal investigator Sandie La Nae takes you though the victorian home of Genoa's first undertaker - C.W. Dake. More than 40 stories of haunted places in Northern Nevada towns. This book is a great read for the history buff, as well as those interested in the paranormal as La Nae blends both the Wild West Past and the Haunted Present to create a tribute to this enduring landmark, and to the phantom "non-paying" inhabitants. Informative and instructional material covering many levels of our interaction with and awareness of the paranormal world, from the scientific to the metaphysical. Learn the ins-and-outs of ghost hunting, step by step. 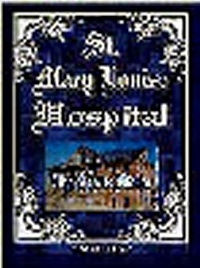 Join author and paranormal investigator Sandie La Nae and take a haunted journey, as you are guided through the historic St. Mary Lousie Hospital, which is still in operation now as the St. Mary’s Art Center. 27 Amazing Ghost Hunts in Northern Nevada, as featured on "Notes From A Ghost Writer"
Be Thrilled to the many paranormal experiences that the Thin Veil Investigators, a ghost hunting team Sandie La Nae is a member of, have encountered over the many years of exploring this Genoa saloon, and Nevada's Oldest Thirst Parlor. -This book was written for Nevada’s 150th birthday, and the Genoa Bar’s 160th birthday. -Also is Featured on the Nevada150.com Author’s page. 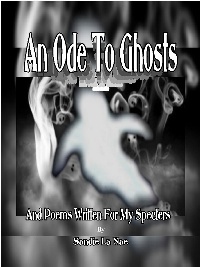 Well over 100 stories, submitted by many people, who share their True Tales of Paranormal Encounters and Experiences. Join author and paranormal investigator, Sandie La Nae, as she takes you through the life and times of one of Carson City's original structures, the E. D. Sweeney Building. Reno - The Biggest Little City In The World. This book has been accepted into the Nevada Historical Society’s online database. Have you had house ghosts? If so, would you compose poetry for your spirits? Sandie has - and she did. Join Psychic Sandie La Nae, who has an ability to see the deceased, in her many paged tribute to the ghosts who have visited and "lived" in her home. Following the bright lure of shiny Golden and Silvered dreams, many of the unfortunates who visited and lived in early Virginia City found instead the counterpoint theme of Misery, Suffering and Death. This addendum to the "Weird" volumes is not some coy narrative to share how townsfolk softly expire before they become afterlife citizens. Real people lived here that have been forgotten; that led lives that are now unknown; their stories written, but decaying in dusty corners. But no longer. Join Author Sandie La Nae and Docent Arline La Ferry as they take you on a WEIRD journey around Nevada's State Capital. Read about curiosities researched from numerous media sources from the mid-1800s into the 21st Century! Let the mysterious thrill and chill you! Get the scoop on notable Carsonites! Laugh at amusing anecdotes! This book is packed full of WEIRD and interesting tidbits from Carson City’s past and present! Established in 1867, Silver Terrace in Virginia City, Nevada is the culmination of eleven cemeteries, side by side, divided along ethnic, religious, civic, professional and fraternal lines. An exciting book full of very interesting facts, unusual information, amusing anecdotes, from one of the oldest cemeteries in Northern Nevada. northern Nevada Town - Virginia City. Read about curiosities researched from numerous media sources from the mid-1800s to the early 21st Century! This book is packed full of WEIRD and interesting tidbits from Virginia City's past and present! Doc Durden - A "Living Legend"
Doc Durden is a Western Performer who depicts Sheriff Wild Bill Hickok. Doc also performs Hickok’s notorious talent – the cracking of a bullwhip – at western events and parades. Inside the pages of this book you will learn about this man’s interesting life, and be in awe of his many talents. A true Legend, and Living His Dream! Many are also available as Kindle ebooks! Doc Durden "A Living Legend "
Take a tour to the quaint northeastern California town of Markleeville, California and enjoy a tour of the historic Alpine Hotel. Join author and paranormal investigator Sandie La Nae as she takes you through the historic Alpine Hotel, home of the Wolf Creek Restaurant and Cutthroat Bar. Join author and paranormal investigator Sandie La Nae as she takes you through an important Way Station of the late 1800s.